Ok, it’s a bit late to be writing this, but here it is. 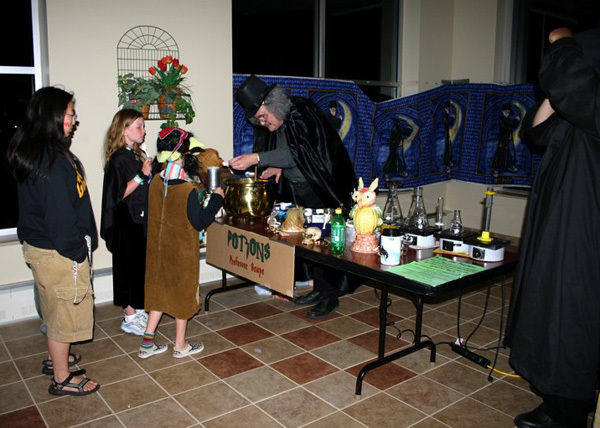 The Perry Mummy, Alex, and I made an appearance at the Harry Potter party in St. Peter, Minnesota recently. 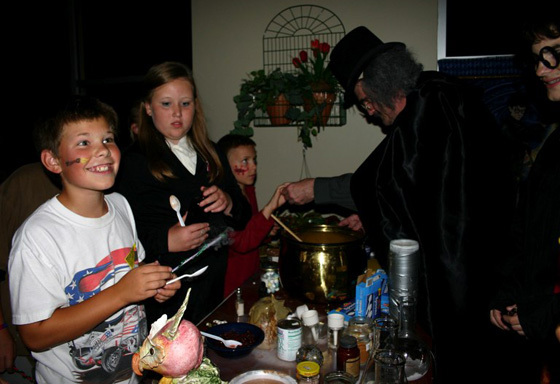 Alex was Harry Potter, and I was the Potion Master. 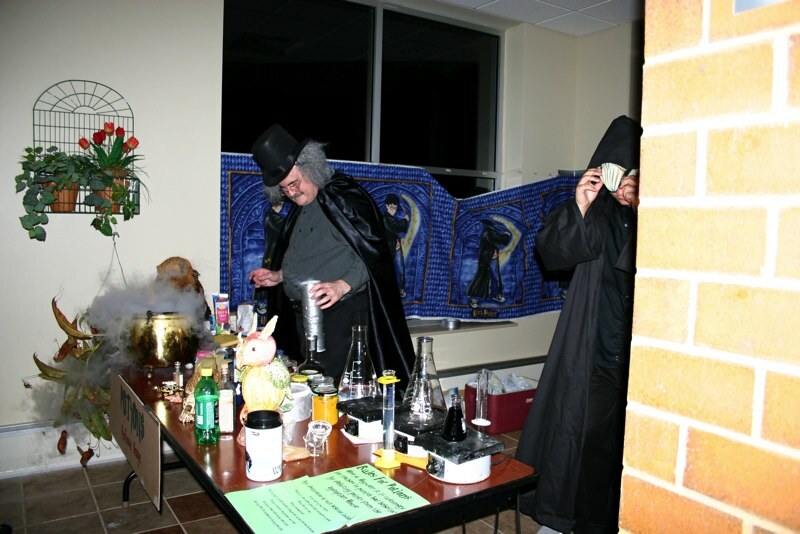 It seemed appropriate to include a mummy in the event, and Perry was the one that I had close at hand. And – the Perry Mummy, newly preserved, is now permanently monitored, along with The Pot, by a webcam. Click here for a view.